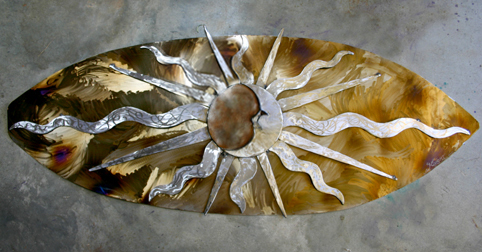 Sun Surfer 24" x 48" long. 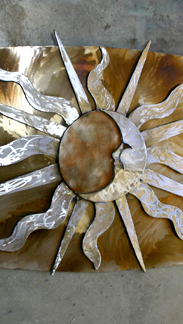 Etched patterned board behind sun. Catching light from different directions and heat applied golden color.